The things we learn from fortune cookies! I live in Canada and didn't even know that. Canada is an exciting place! "If the women can't find you handsome, they can at least find you handy." TS! I have missed you! 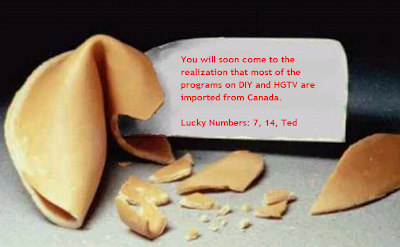 Love this fortune cookie even though it reveals a harsh truth.